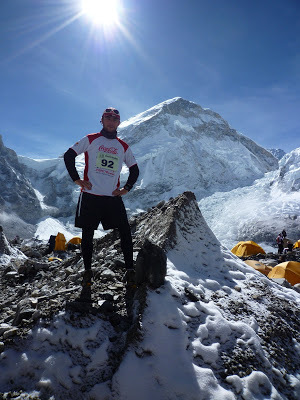 Looking for a challenge to mark his 30th birthday, Rob took on the phenomenal challenge of the 60th Diamond Jubilee Tenzing Hillary Everest Marathon, running the worlds highest altitude route from Everest Base Camp (5364m), Gorakshep (5140m), Lobuche (4930m), Dingboche (4530m), Tengboche (3867m), Namche Bazar (3440m). Rob completed the race in 10hrs 48min 17 sec. Amazing achievement – and stunning photos. Well done Rob!